Kodi runs on Android smartphones and tablets. Whether you just want to manage the various media on your Android smartphone or tablet, or hope to stream content to and from multiple devices, Kodi's support for Android gives you a straight-forward way to do so. However, the Kodi Android wiki FAQ page explains the Android Kodi app is mostly meant for Android-based set-top boxes that spend most of their time connected to a TV and function with a remote control. That said, Kodi still supports many Android devices with an official app available from the Google Play Store. As of Kodi v17, only devices running Android 5.0 Lollipop or higher are supported. Furthermore, the Kodi Android app has been designed with larger screens in mind, particularly for those five inches or greater. Kodi doesn't recommend using the app on smaller phones. If your Android smartphone or tablet fits the bill, you're ready to get started. Launch the Google Play Store app, search for and select the Kodi app, then install it. Alternatively, go straight to the Google Play page for the Kodi app. After installing the Kodi app, you'll be ready to go and can start loading up your media library or add to the app, such as with Kodi add-ons for movies and TV. Installing Kodi for Android tablets is the same process as it is for smartphones. However, one case where the experience may differ is when the device doesn't have the official Google Play Store app. While this may be rare for smartphones and tablets from major manufacturers, Kodi still has a way for you to install the Android app without the Google Play Store. For devices that don't have access to the Google Play Store and require sideloading the Kodi app, you'll first need to determine whether your device runs a 32-bit version of Android or a 64-bit version with a 64-bit System-on-a-Chip (SoC). Kodi also has different instructions for devices with Intel SoCs. You can find out more from Kodi's Android FAQ, or read up on mobile processors and SoCs. If you have access to Google Play, it is advised that you used that to download apps rather than sideloading them. Select the Android option, then choose either the 32-bit or 64-bit option, depending on the hardware and operating system of your device. Download the appropriate Android APK file, which can be transferred to your Android device's internal storage and installed. Install the APK file and Kodi should successfully install to your Android device. If you take the non-Google Play route, you will likely be required to enable app installations from unknown sources on your Android devices before trying to install the app. Depending on your device, you may need to navigate to Settings > Security, then check the Unknown sources box. Devices with Android 8.0 Oreo may require you to go to Settings > Apps > Special Access, then select Install unknown apps or Install other apps. This will take you to a screen where you can select Google Chrome to allow the downloading and installing of Android APK files. Once you have Kodi installed, you're ready to watch movies and TV, listen to music, or stream content from the web or other host devices you've set up with Kodi. 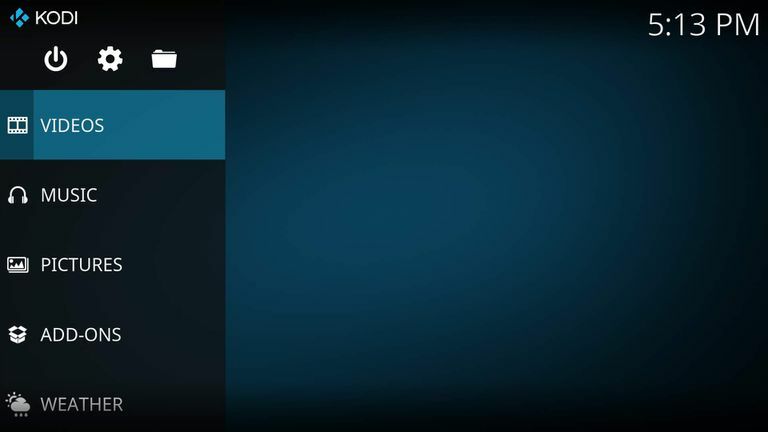 If you're concerned your version of Kodi doesn't look the same as other versions you've seen around the web, you may have seen special Kodi builds which can give the media player a custom appearance.